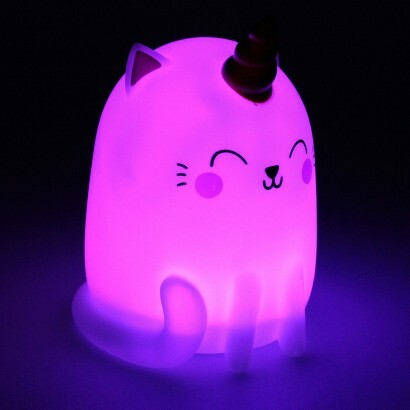 What do you get if you cross a sweet little kitten with a magical unicorn? 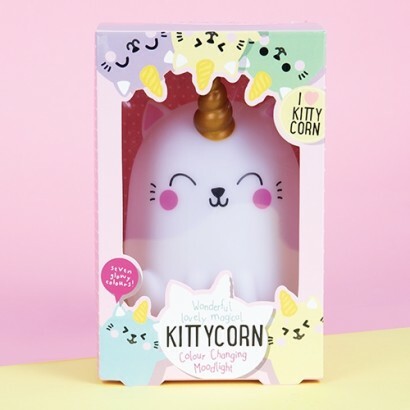 You get an adorable Kittycorn! 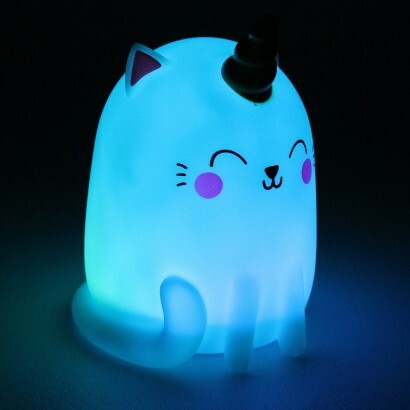 With all the magic of their colourful unicorn cousins, this cute little character lights up with colour change light shining through seven cool colours for enchanting effects. 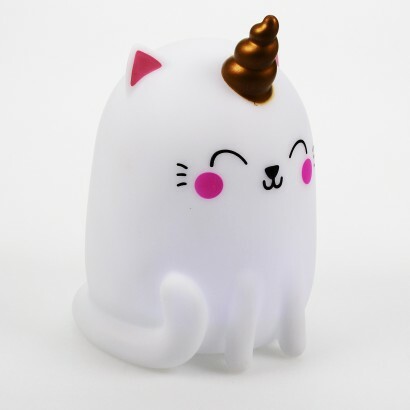 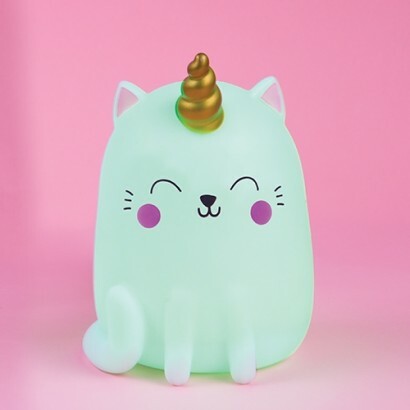 Super cute and packed with magic, this battery operated mood light ramps up the cute factor wherever it's placed for purrrrfect relaxing lighting.